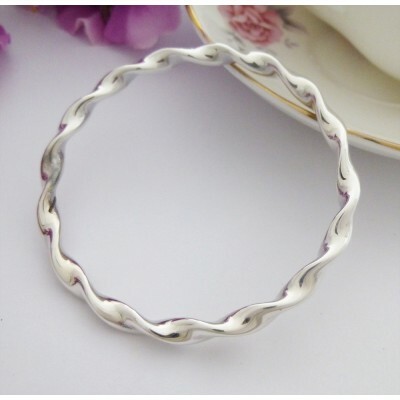 The Tia Twisted Solid Sterling Silver Bangle has been handmade in the UK and is a truly stylish piece of jewellery. The Tia will add a touch of glamour to your outfit, it is the perfect accessory. 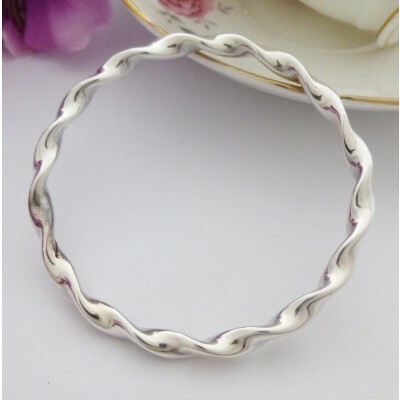 The gorgeous Tia Twisted Silver Bangle is a solid sterling silver bangle that has been designed by one of our amazing silversmiths. 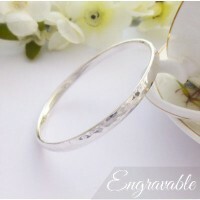 It has a contemporary twist design making it an interesting and funky bangle. 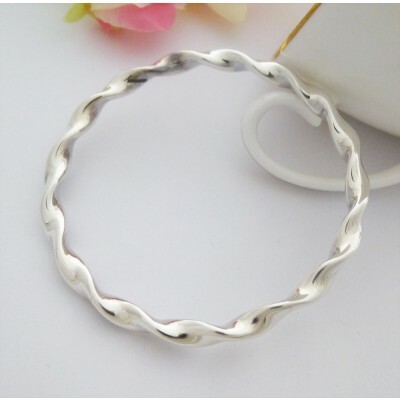 This large size bangle is perfect for ladies who struggle to get regular size bangles over their hand, without compromising on beauty and elegance. 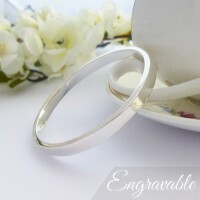 The Tia Large Bangle has been handmade in the UK exclusively for Guilty Bangles. 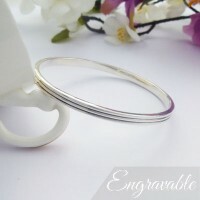 The Tia twisted bangle is 4mm wide. 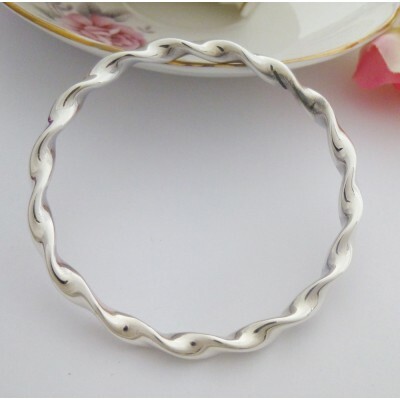 Hand made in the West Country and UK hallmarked 925 sterling silver. The Tia has an internal diameter of 67mm.